How Fast Do Asteroids Travel? What is the Average Orbital Speed of an Asteroid? Asteroids are celestial rocky bodies that orbit the sun. It was Sir William Herschel who first coined the term “asteroid" (Greek for star-like) in 1802. He thought that Ceres and Pallas, discovered in 1801 by Giuseppe Piazzi and Heinrich Olbers respectively, were too small and were remnants of a destroyed planet. The name “star-like" is actually a misperception since new scientific data refer to them as “planetoids", or minor planets. These small rocky objects orbiting the sun have no atmosphere and are traces from the formation of the solar system. Thousands of asteroids can be found revolving around the sun in an “asteroid belt", an area located between the orbits of Mars and Jupiter. How Fast Do Asteroids Travel? An asteroid has an average orbital speed (how fast an object orbits the sun) of 25 kilometers per second. However, asteroids orbiting closer to a sun will move faster than asteroids orbiting between Mars and Jupiter and beyond. The closest orbiting asteroid found so far is 2004 JG6 with an approximate orbital velocity of over 30 kilometers per second. It was discovered at the Lowell observatory on May 10, 2004. An asteroid approaching earth is not as fast as presumed. Since asteroids orbit in the same direction around the sun as the earth does, they approach at a slow speed. When an asteroid approaches earth, it gets accelerated by the earth’s gravity and when it hits the atmosphere, various factors determine its speed, including the shape and size as well as air resistance. 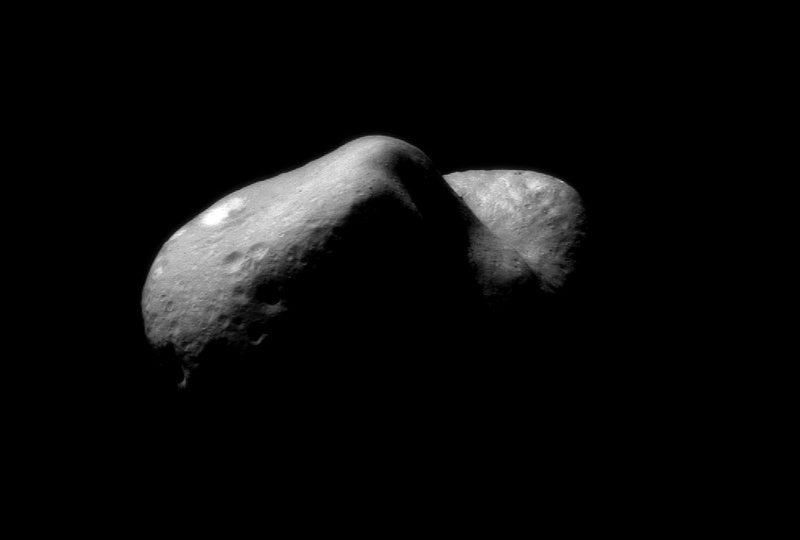 A smaller odd-shaped asteroid will fall slower through the air than a perfect spherical asteroid. 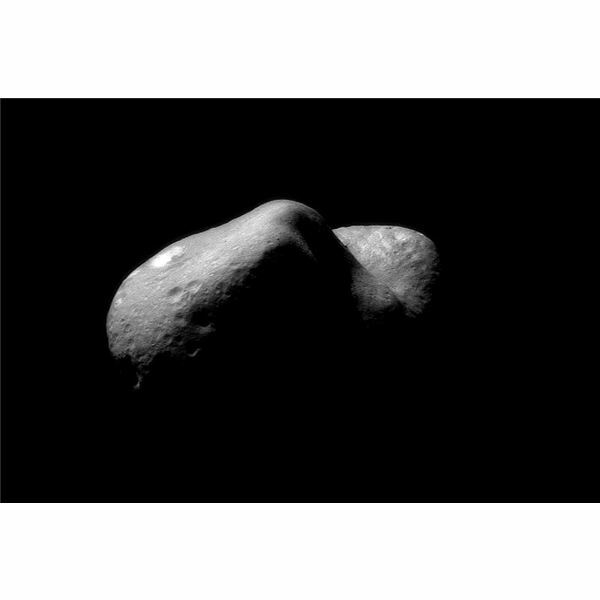 433 Eros: Found in the main asteroid belt, this odd-shaped near-earth asteroid has an average orbital velocity of 24.360 kilometers per second. With a size twice that of Manhattan island, the asteroid was first discovered by Gustav Witt on August 13, 1898. It is the first asteroid to have been visited by a NASA spacecraft, Near Earth Asteroid Rendezvous Shoemaker. The spacecraft landed on Eros’ surface on February 12, 2001. Ceres: The largest object that orbits in between Mars and Jupiter in the asteroid belt, Ceres has an average orbital speed of 17.822 kilometers per second. It was discovered in 1801 by the Italian monk and astronomer Giuseppe Piazzi. In 2006, Ceres was classified as a dwarf planet. 951 Gaspra: With an average orbital velocity of 19.88 kilometers per second, Gaspra orbits in the main asteroid belt. It was the first asteroid to have been closely approached by the Galileo spacecraft on October 29 1991. Vesta: The second largest object orbiting between Mars and Jupiter, Vesta has an average orbital velocity of 19.34 kilometers per second. It is also known to be the brightest asteroid in the main asteroid belt. It was discovered by German astronomer Heinrich Wilhelm Olbers on March 29, 1807. 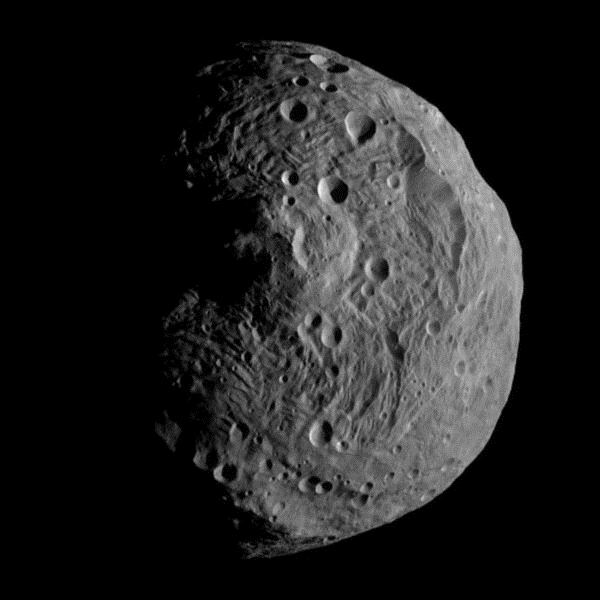 The NASA spacecraft Dawn entered the Vesta orbit on July 15, 2011 and since then it has been orbiting this giant asteroid with the aim to get a closer look of the asteroid. 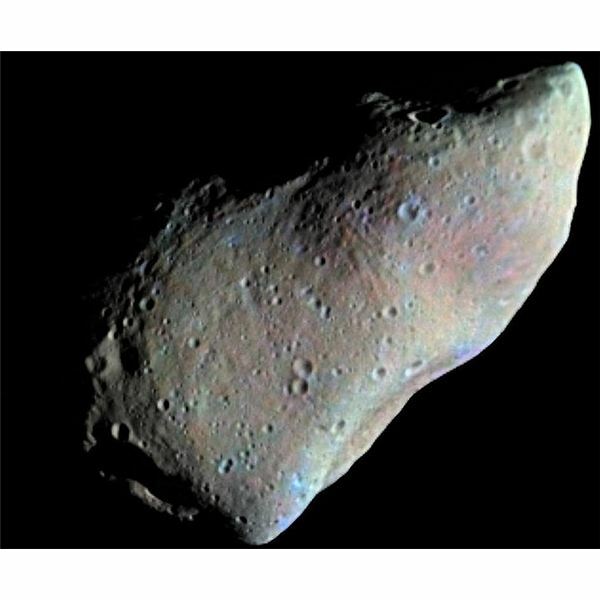 The information collected so far includes amazing images of the asteroid surface captured with the framing camera aboard the spacecraft. The Dawn mission is part of NASA’s Discovery program. Launched in September 2007, the spacecraft approached Vesta in July 2011, and will reach Ceres in 2015. The objective of the mission is to study large asteroids like Vesta and Ceres and in order to find out how the solar system was formed.